In this article, we will be looking at the recommended settings on your Mac to ensure your child's iOS device continues to be monitored for worrisome activity every 6 hours or so. These settings will allow the new Bark Desktop App the opportunity to run the automatic backups over WiFi when your child is home and connected to the same WiFi by allowing your computer to be powered on and awake for at least 12 hours each day. The backups will not happen automatically if the Mac is asleep. 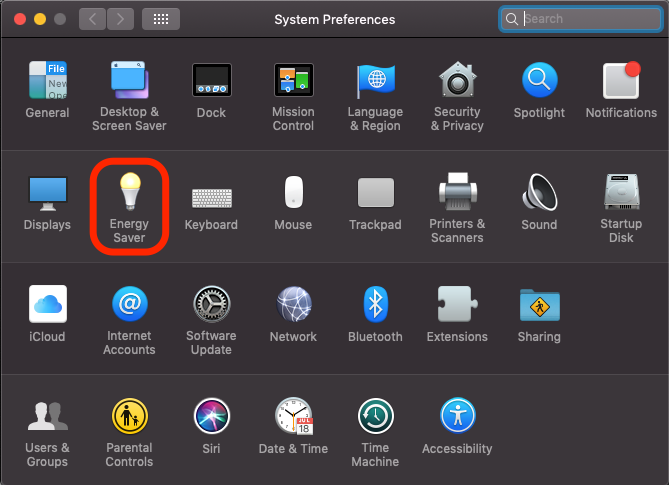 Click on the Apple logo at the top left corner of your screen and select System Preferences. Step 2: Click on "Energy Saver"
If you have a laptop, make sure you check the display sliders on both the Battery and the Power Adapter tabs, as indicated below. Step 4: Uncheck "Put hard disks to sleep when possible"
If you have a laptop, ensure it's unchecked on both the Battery and Power Adapter tabs, as indicated in Step 3. We want to make sure the box next to this setting does not contain a checkmark, as seen below. Step 5: Click on "Schedule..."
You will find the "Schedule" button at the bottom right of the window. This is where you'll schedule a time for your Mac to wake up every day. Again, every family is different, but we recommend at least a 12 hour window that the computer is turned on. Automatic backups cannot occur while the computer is asleep or turned off. 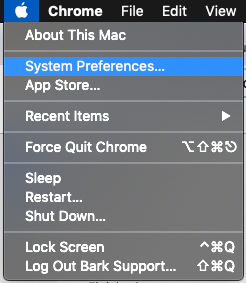 Click OK and exit System Preferences. It's as simple as that!